After battling one another for more than 13 months, former secretary of state Hillary Clinton and Sen. Bernie Sanders (I-Vt.) met for more than 90 minutes Tuesday night at a Washington, D.C., hotel. The two had a "positive discussion," according to similar, but not identical, statements issued shortly thereafter by their respective campaigns. 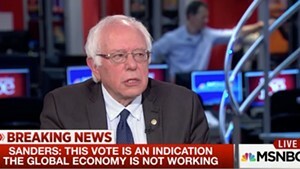 Neither statement addressed whether Sanders would drop out of the race or endorse Clinton, who all but locked up the Democratic presidential nomination last week. But both said they would work together to oppose presumptive Republican nominee Donald Trump. The meeting came not long after Clinton won the Washington, D.C., primary 78 to 21 percent. It was the final nominating contest in a process that has lasted four and a half months. With just 84 superdelegate votes unaccounted for, Clinton leads Sanders 2,800 delegates to 1,881. Sanders returned to D.C. Tuesday after a long weekend in Vermont, where he met with top supporters and took part in a vigil for the victims of Sunday's mass shooting in Orlando, Fla. Sanders attended the Senate Democrats' weekly luncheon Tuesday afternoon, where he received a standing ovation, and then held a press conference outside his D.C. campaign office to repeat his call for "a fundamental transformation of the Democratic Party." 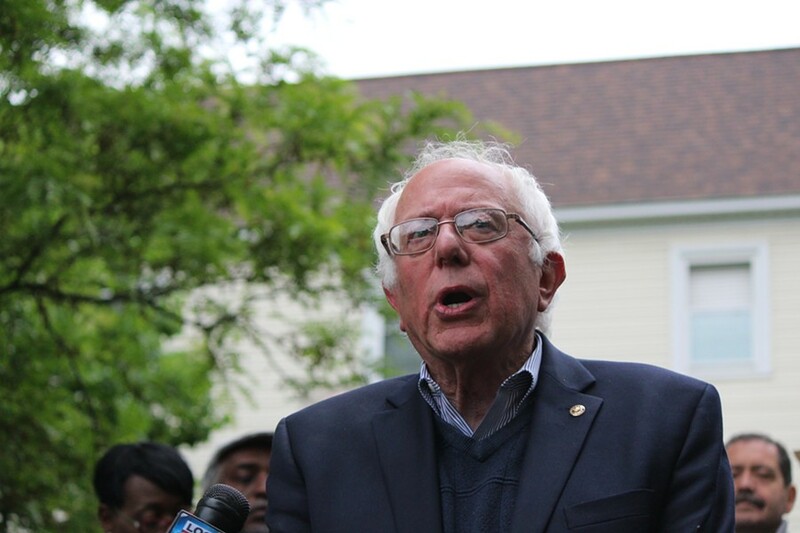 The Vermonter specifically called for the elimination of superdelegates, the replacement of the Democratic National Committee's leadership and electoral reforms to make it easier to vote in Democratic primaries. During Tuesday's meeting at the Capital Hilton, the two rivals also discussed several policy issues, including campaign finance reform, the minimum wage and student debt. According to Sanders' statement, those were issues "where they are seeking common ground." According to Clinton's, "they share common goals." Both said they would work together to craft the party's platform ahead of July's Democratic National Convention. Joining the candidates for the meeting were Sanders' wife, Jane O'Meara Sanders; his campaign manager, Jeff Weaver; Clinton campaign chairman John Podesta; and Clinton campaign manager Robby Mook. Following the meeting, Sanders flew back to Burlington.